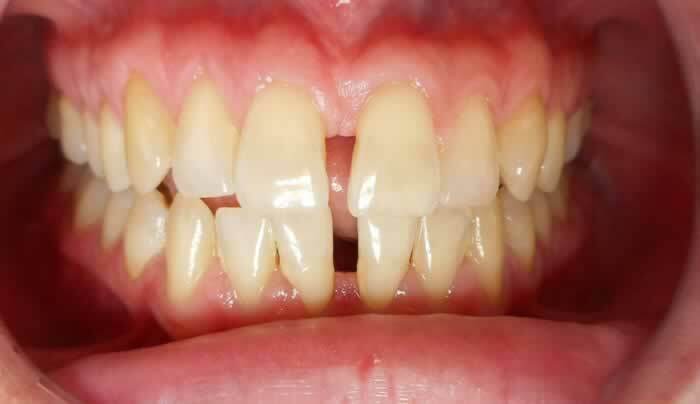 This patient had a gap between the upper and lower incisors. 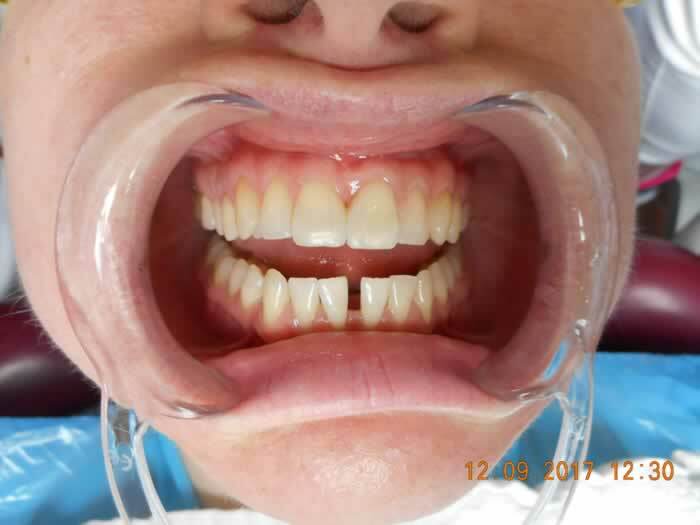 The ideal treatment would have been orthodontic treatment to permanently close the gap, however the patient didn’t feel comfortable wearing braces at this stage of her life. 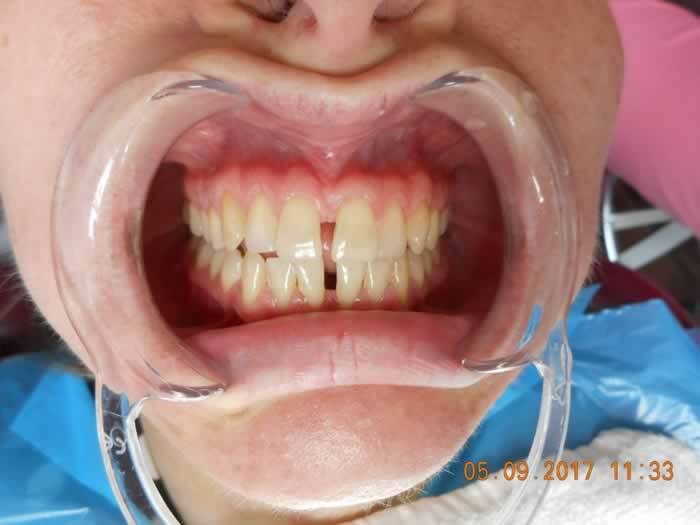 Therefore she opted for the easiest and least invasive option to close the gap between the upper incisors, and the gap between the lower incisors didn’t bother her that much, so decided to leave it. 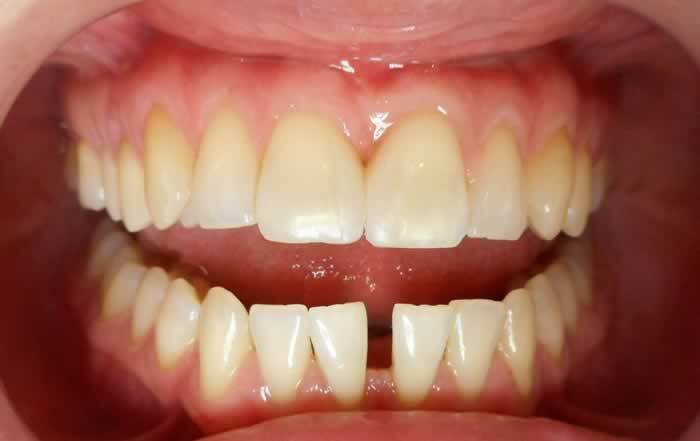 In just 1 hour we could close the gap with composite bonding.